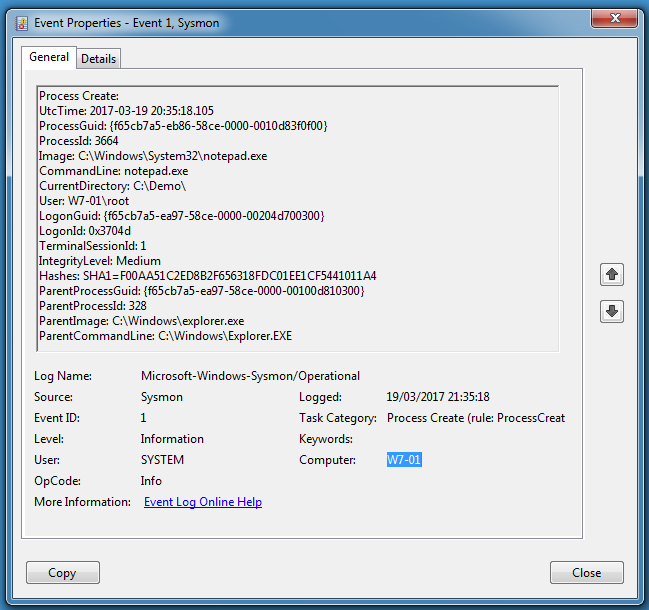 Years ago I released a tool to create a Windows process with selected parent process: SelectMyParent. 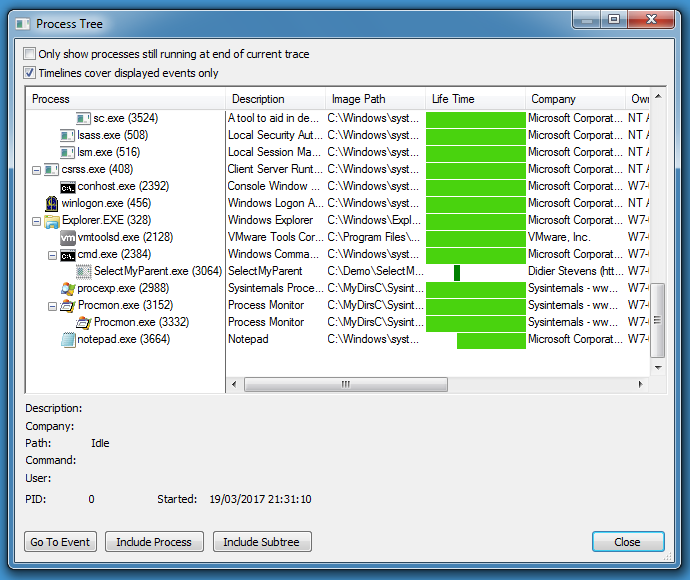 You can not blindly trust parent-child process relations in Windows: the parent of a process can be different from the process that created that process. 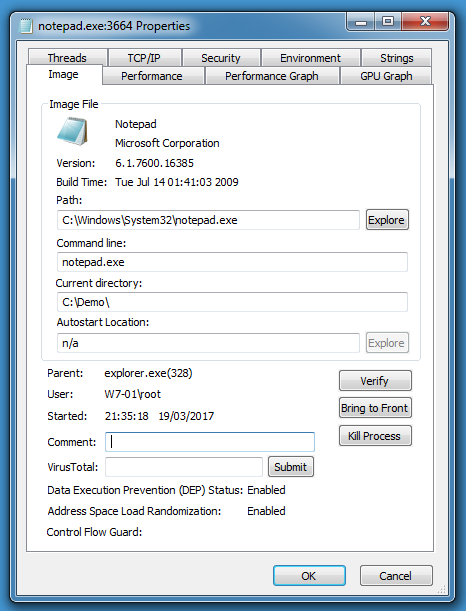 We should see entries in the call stack for explorer.exe if notepad.exe was started by explorer.exe, but we don’t. 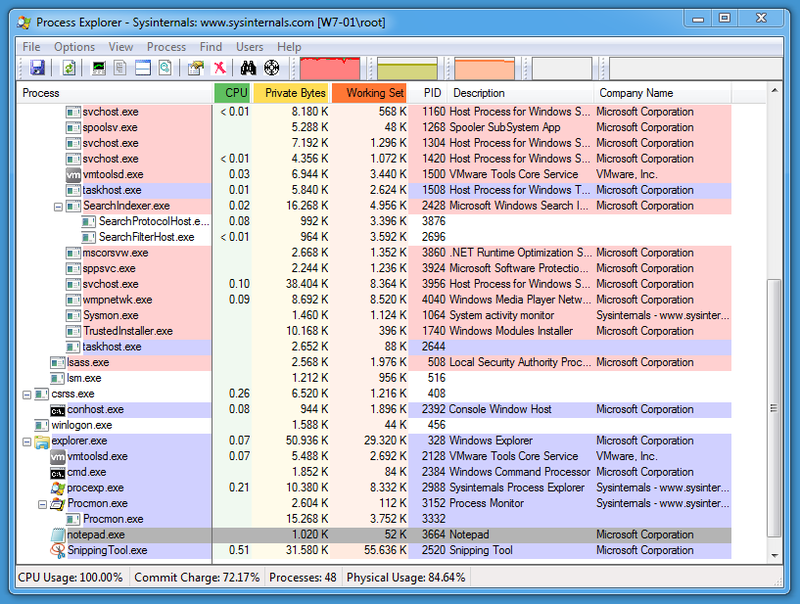 The <unknown> module is actually selectmyparent.exe. 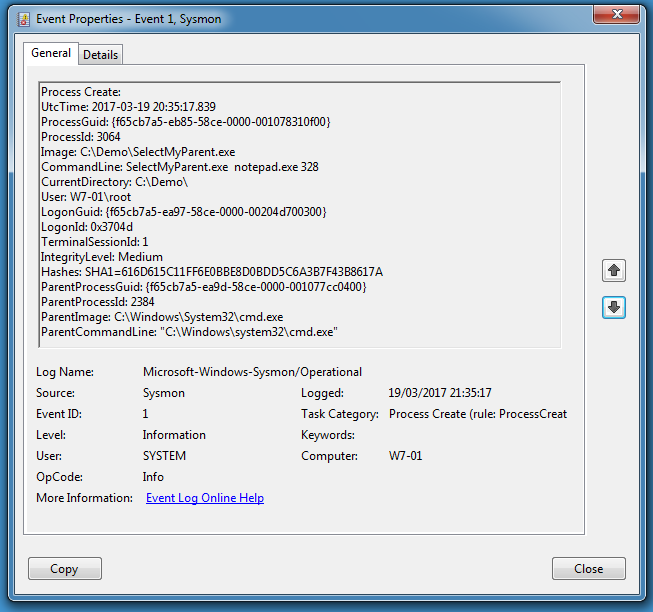 0x11b1461 is the address of the instruction after the call to _main in ___tmainCRTStarup in selectmyparent.exe. 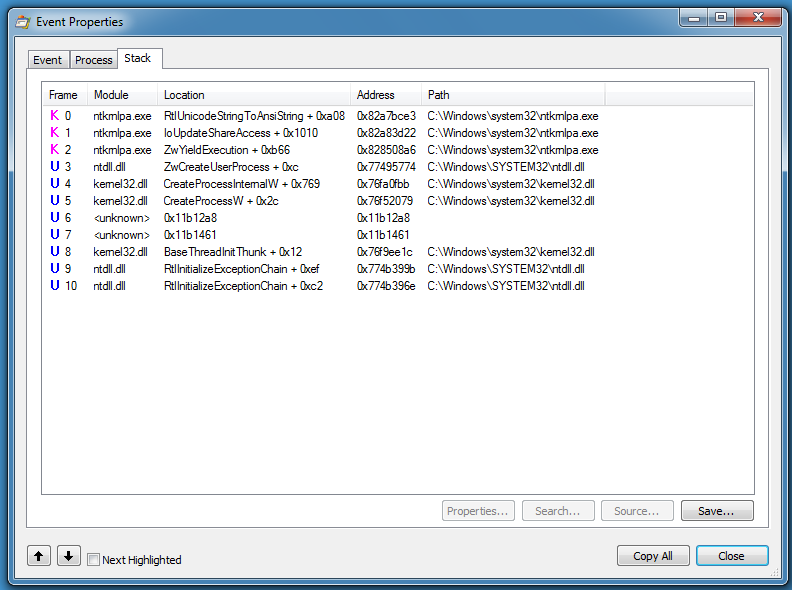 0x11b12a8 is the address of the instruction after the call to CreateProcessW in _main in selectmyparent.exe.